I had prepared this dish long time back and found it in one of my folder.I had prepared this in a Fb food group when the theme was of tomato.Though I’m not a tomato fan,this dish is truly a tempting one(I don’t hate either).You may do any stuffing of your choice.I have used paneer burji as the stuffing.Tomato reminds me of Tomatina festival of Spain from the movie Zindagi na milegi dubara…My favorite dish of tomato is cream of tomato soup.Whats yours? 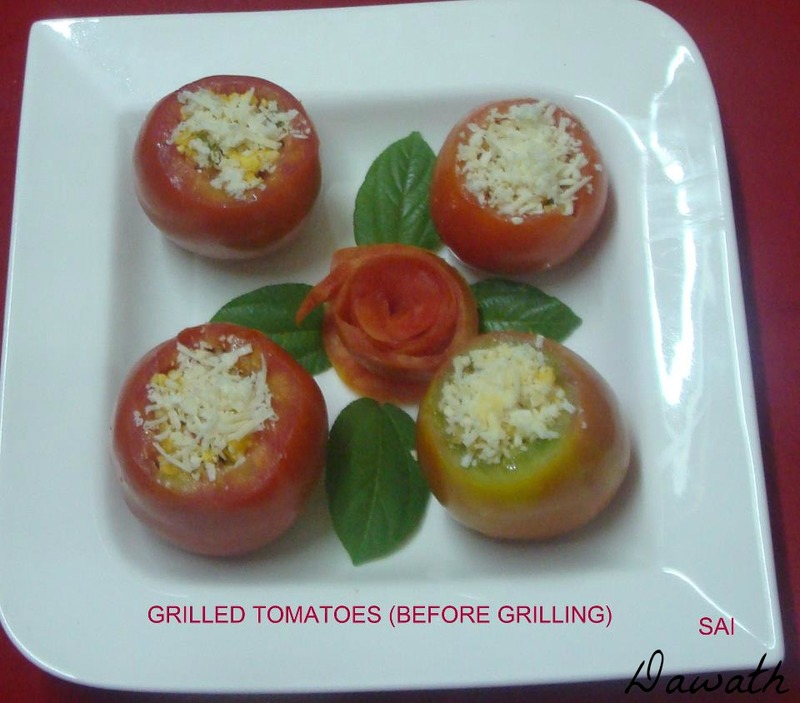 Cut off the top of the tomato and scoop out the pulp,seeds,juice and keep the tomatoes aside. Heat oil in a pan and fry onions and capsicum for 2-3 minutes. Add all the powders one by one and saute for a minute,add salt to taste and mix it. Add crumbled paneer and garnish with coriander leaves. Preheat the oven to 150 deg C for 10 minutes. 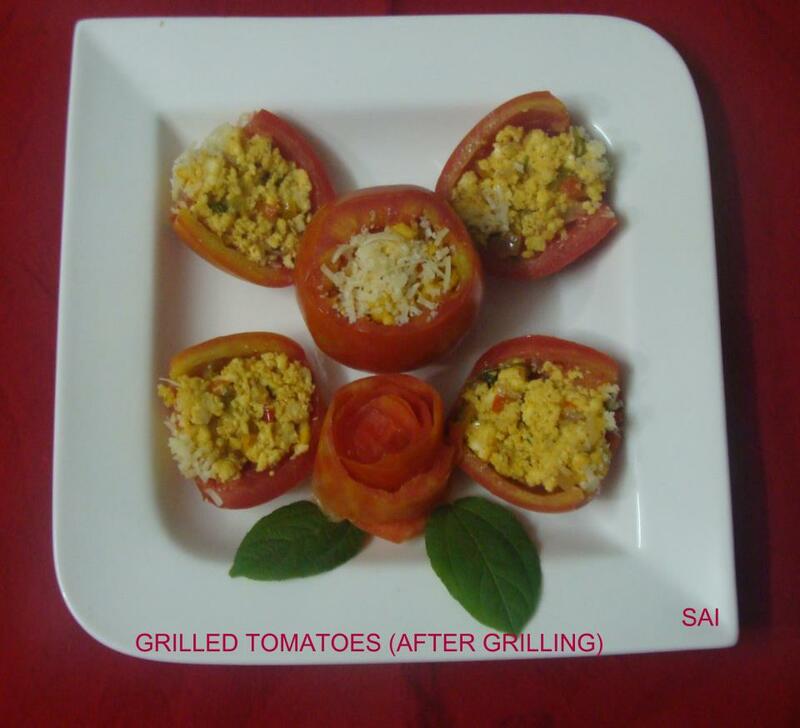 Stuff the paneer burji in the tomato and garnish with cheese. Grill it for 15 minutes in the oven until the cheese turns brown. I arranged in a grill pan of the microwave and grilled in a microwave. You may also bake it in an OTG.